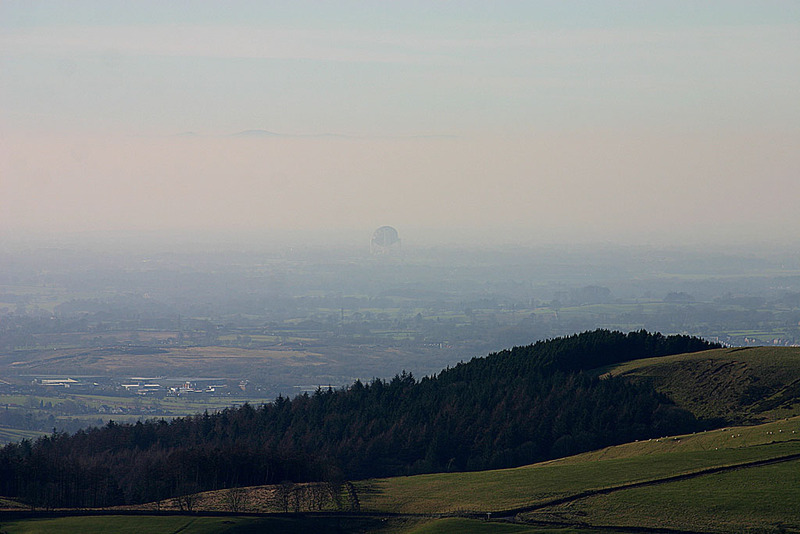 Chris Newsome captured this view of the Lovell Radio Telescope at Jodrell Bank from a distance of about 12 miles away. It was taken on the 10th February 2008 from the Cat and Fiddle pub on the A537 between Buxton and Macclesfield. Chris used a Canon EOS 300D camera. For a view of a stunning sunset on the same day from the same location click here.